Financial capability on the part of the individual, combined with an inclusive financial system can help people achieve the best possible outcomes. Financial capability is fundamental for the financial well-being of both individuals and for the UK economy. The Financial Services Authority (now known as the Financial Conduct Authority) conducted the first UK-wide financial capability survey in 2006 to capture how well people were managing their money. What stood out from the survey was that across all sections of society, large numbers of people were not taking basic steps to plan their finances, save sufficiently for the future, or set money aside for a rainy day. The survey also highlighted that people found it difficult to choose products that truly met their needs, putting them at greater risk of financial difficulty. New research suggests that no real improvements had been made since then, and there is some evidence that consumer skills and knowledge has actually declined over the last decade. It is estimated that low levels of financial capability in the UK cost the economy £3.4 billion each year. That’s only one of the reasons why we are supporting the new Financial Capability Strategy, coordinated by the Money Advice Service. By developing and applying financial skills and knowledge, consumers can build savings, plan for retirement, avoid over-indebtedness and be financially resilient. 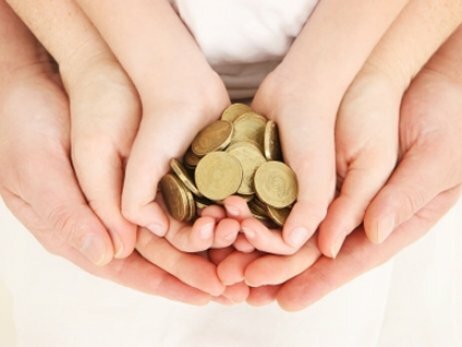 Financial capability is made up of an individual’s knowledge, skills, confidence and motivation to manage money well. It includes understanding of financial products and terms, being able to use them appropriately, and having the confidence and motivation to do so. It is a contributing factor to one’s financial health and without it people may find it difficult to make the right choices for themselves and less able to cope with whatever life throws at them. By providing high quality and needs-led financial education services as people move through key life stages and trigger points, we can empower people to make the most of their money. In November the Money Advice Service set out their strategy for improving the financial capability of people in the UK. The strategy sets out to improve people’s ability to manage money well day to day, prepare for and manage life events and deal with financial difficulty. The strategy also has a strong focus on building evidence of what works through strong evaluation of impact. create a consistent policy environment by engaging the wider service sectors which affect people’s financial well-being, including local and national government, financial services and utilities providers, and providers of housing, health, education, advice and employability services.